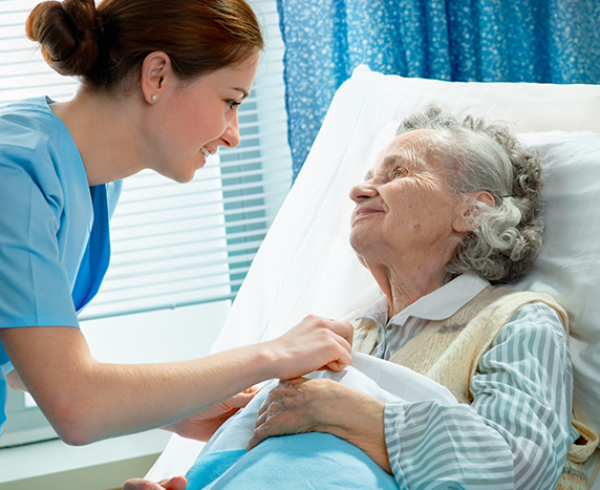 Palliative care and hospice care are programs that are frequently confused. While all hospice patients technically qualify for palliative care, not every palliative care patient qualifies for hospice (kind of like every square is a rectangle, but not every rectangle is a square). The distinct difference between the two care programs is that patients on hospice are patients who have been given a terminal diagnosis, and chose to focus on comfort measures and end-of-life decisions, while patients on palliative care are patients with life-limiting illnesses (at any stage of these illnesses, such as cancer, COPD, CHF, etc.) who continue to pursue curative measures for their diseases, either because a) they are not terminally ill, or b) they wish to continue treatments despite their prognosis. Like hospice patients, palliative care patients must be referred to palliative services by a physician. Palliative care patients, too, are assigned to a team, consisting of a nurse and social worker, who consult with physicians, pharmacists, dieticians, etc. as needed. This team works with patients and their families on getting patients’ symptoms managed and pain controlled, while working with them to set goals to enhance their participation in and quality of life. The palliative care team functions as an extra support system to patients who struggle with chronic illnesses. Visits from the palliative care team at home, because the team helps patients to manage their illnesses, can drastically reduce patients’ number of trips to the hospital/doctor. The palliative care team assists patients with coordinating their medical care, and provides them with referrals to community resources as necessary. Palliative care nurses and social workers address issues in patients’ lives that interfere with their care, whether they be emotional, financial, spiritual, etc. Some types of palliative care may be covered by Medicare (Part B) and private insurances. Medicaid palliative care benefits vary from state to state. Check with palliative care providers in your area to find out more.